Yowiebait and Simon and I sidetracked Simon's 'Green Children of Woolpit' thread a little when we got to discussing our collections of books and magazines pertaining to Cryptozoology and other unexplained phenomena. As anyone who has lived through the 70's knows, paperback books on these topics were massively popular, sometimes entering into the Best Sellers lists of the time, such is people's fascination with the unknown. If you have a collection, a library, a stash or just one or two books that you have read to tatters or proudly display in your bookcase on any of these subject matters, this is the thread to show them off, so feel free to share! Here are a couple of mine, though most are still in crates in the shed since I moved four years ago, so there's not much by way of a group book photo...yeah, must get around to unpacking those, haha. 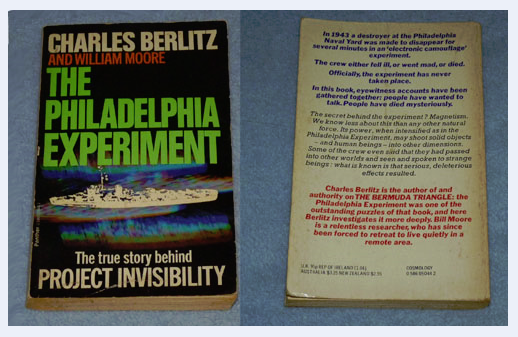 I've read that Philadelphia Experiment one, and I can recall reading a whole bunch of stuff by people like Charles Berlitz and Josef Allen Hynek. Those two seemed to be the most prolific writers about this stuff back then. Most of my books are long gone, but I'll do some scanning tomorrow and share what I do have. I have a copy of Bernard Heuvelmans' On the Track of Unknown Animals and a copy of The Mysterious Monsters by Robert & Frances Guenette, as well as The Third Eye and a few others. I'll dig them out. I actually don't get nostalgic about many things, but all those books - especially the Erich Von Daniken stuff about 'Ancient Astronauts' - really do make me feel nostalgic. They just remind me of being a kid and sort of thinking all this stuff was just the news of the day. I didn't see it as 'fringe' or 'weird' as a kid, it was just info about stuff going on in the world as far as I was concerned. Ha we had that hynek one at the bottom. 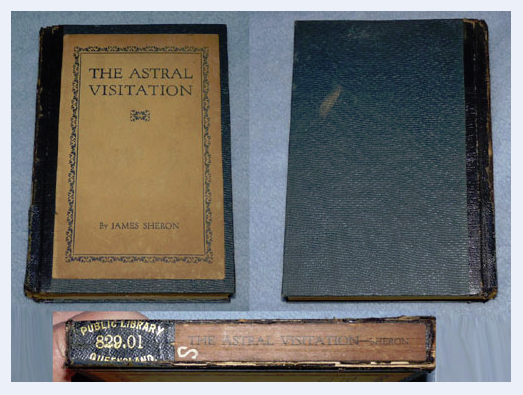 Astral visitation looks like some serious reading! Certainly some far out paperbacks from the 70s as Shazz has said. A classic era for the arts and literature....and the cons as well! Heres this one again..sorry bout the fonz and golfers joke book. I thought this would be worth posting. Pic keeps posting up sideways but right way if you click on it.Even has a free "voices from the grave" flexi disc still intact! That's top-notch stuff! I always wished I could've got the binders you could send away for. Great that you still have it all. Here are some of mine - I have some books in a cupboard I'll have to look through as well, but not very many left. I have to go 'on the track' of the Heuvelmans book. Simon M wrote: That's top-notch stuff! I always wished I could've got the binders you could send away for. Great that you still have it all. Hey Simon i was stoked to find that issue number 1. Makes up for the mad magazine flexis and cereal toys my brother threw out!! Thats a different third eye cover than we had. Think i have the mysterious monsters with a different cover too. Nice one! Oh, wow - I didn't know there was more than one version of the Mysterious Monsters cover. I'll have to check online. I know The Third Eye has been reprinted many times. I think I've seen five or six different covers for that one over the years. Dunno what to make of Lobsang. I think I read every one of his books before discovering he was apparently an ordinary Pom making up. Who really knows? His work went through a resurgence in the 90's along with Castenada, Von Danniken, etc. We are due for another 'New Age'/'Age of Aquarius cycle I reckon. Simon M wrote: Oh, wow - I didn't know there was more than one version of the Mysterious Monsters cover. I'll have to check online. I know The Third Eye has been reprinted many times. I think I've seen five or six different covers for that one over the years. I couldnt find an alternate cover for mysterious monsters online. Saw a lot of cool science fiction comics though so worth the search. I will still have a look. I am keen to drag them out to see what ive salvaged after Shazz started this thread. Wolf wrote: Dunno what to make of Lobsang. I think I read every one of his books before discovering he was apparently an ordinary Pom making up. Same thing with me. Read the books and then someone told me he died after the first few books and some english bloke took over, hence the.. umm.. soul transference? I was a big fan of Erich von Däniken as a youngster. I had loads of his books (even the ones about Faith Healing). There was also an associate of his called Walter Ernsting who wrote some stuff about allegedly using an ancient time machine ('The Day The Gods Died') to travel back to Mayan South America where he met the 'ancient astronauts'. It was pretty wild stuff. Ernsting also wrote stuff under the name Perry Rhodan....he wrote science fiction under that name. I also remember reading 'The Manna Machine' by George Sassoon and Rodney Dale, which was equally mad (but fun). The whole 'ancient astronaut' thing was a big influence on my childhood thinking, even if I now look at it with a lot of scepticism. I can accept human beings in the past being much more technically sophisticated than we give them credit for being (hence some of the artefacts von Däniken based his arguments on) but not aliens impregnating human women, etc. It's just too weird for me. I bought them all at the trash & treasure market in Bundoora in the very early 1980's for about 20 cents each. I think I got almost everything Erich von Däniken ever wrote in one go along with these other things. I wish I still had them. 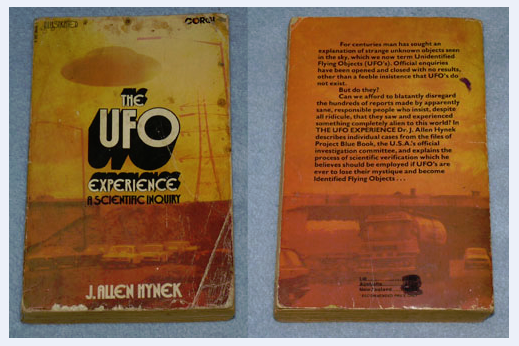 Re: Show Us Your Crypto / Unexplained Phenomena Book Collection! I don't own this book, but found a link to a free copy of it. It was originally in French and has been translated into English - it features interesting descriptions of various hairy folk from across the world, including Australia - and has some intriguing illustrations in it. Simon, thank you! I have just downloaded it, but haven't read it yet. I think it will be a bit of a good read. It's even better than I'd first thought! It lists cryptids of all varieties, and features many I've never heard of before. Here are two examples I found interesting - the whole thing is great though. IT IS! Holy dooley, there are so many beasties in here, and plenty I'd never heard of at ALL, much like you found, Simon. A cracking read, and some of the illustrations are just beautifully done! Thanks once again for this find, marvellous! Glad you enjoyed it! I think it's a mini-masterpiece. Thanks Simon for the link, I’m always interested in anything about Bunyips. then the more specific and contemporary Yowie. I can relate to what you were reading when you were younger. now seemed so banal when compared to the threat of an alien invasion. to see what I think now. Another book I would like to track down is ‘Songlines’ by Bruce Chatwin. although it was criticised for blending fact and fiction into a travel story. I used to have Lost Worlds as well - it is a great read. I've never heard of Songlines, though. I do have a copy of Dark Emu that I need to read, however. I just wish I still had all that stuff. Plenty of copies on ebay Tuckeroo. Good price too! Mysterious Monsters and Chariots of the Gods were my favourites and the only 2 I've owned. I have the DVD boxed set of "In Search Of". It's very much of its time, but no less enjoyable for that. Of course, UFO's and Bigfoot got a fair bit of attention on the show, which undoubtedly helped get me into the whole Cryptozoology topic to begin with. There was also a bunch of stuff about reincarnation and telepathic communication with plants and so on...it was a weird and wonderful show. Their willingness to delve into some of the weirdest topics imaginable is amazing, given the relatively lacklustre quality of what passes for 'investigative' TV these days. Maybe it's nostalgia speaking, but I love that show to this day. Leonard Nimoy's shirt collars resembled the hat worn by The Flying Nun at times but apart from the mind-boggling fashion on display, many of the questions raised on that show still haven't been answered. Ah, I no longer have mine but I remember them fondly. 'Secrets of a Country Priest' was an amazing story, as were the various Psychokinesis experiments they tried over the years. There was also an article about Quantum Physics which impressed me (using eggs in a fridge as an example), and - of course- The Green Children of Woolpit. Um...I can't seem to post the link, and I think I just accidentally reported my own previous post. The forum doesn't like me today. If anyone wants the link, please message me and I'll try and send it that way. If not, I can email it to anyone who wants it.